September 23, 2013 is the day that securities issuers will be able to conduct general solicitation and advertising of private capital raises pursuant to new Regulation D Rule 506(c) (implementation of Title II of the Jumpstart Our Business Startups Act). With the advent of advertising and general solicitation, issuers will no longer be limited to conducting capital raises from friends, family, and pre-existing business relations under the restrictions of Regulation D. However, September 23, 2013 is also the beginning date for an era of “bad actor” disqualification from the ability to utilize Rule 506. From a compliance standpoint, two issues are evident for issuers utilizing new Rule 506(c): (i) how they conduct their advertising, and (ii) what documents they obtain to verify that the subscribers to the advertised offering are in fact accredited investors. Whereas, under existing Rule 506, issuers were concerned about leaking the existence of the private offering; with Rule 506(c), issuers will be concerned with the quality of their public communications. Antifraud laws still apply, and a merely negligent misrepresentation is sufficient under state law to support criminal antifraud charges against the issuer and those alleged to be involved. Also, if the issuer fails to comply with the accredited investor verification requirements, the inclusion of one or more unaccredited investors in the purchase can blow the Rule 506(c) exemption completely, potentially subjecting the offering to blue sky registration requirements. The offer or sale of unregistered, non-exempt, securities is a felony in many states. The good news is that issuers can advertise, provided that they can demonstrate having taken “reasonable steps” to verify that the purchasers of the securities are accredited investors, either because they come within one of the enumerated categories of persons that qualify as accredited investors or the issuer reasonably believes that they qualify as accredited investors, at the time of the sale of the securities. The Rule suggests that less verification is needed if the accredited investor is a broker-dealer or investment company, but more evidence may be needed if the investor is a wealthy individual or charity. The nature-of-the-offering inquiry suggests that more information is needed if the issuer conducted the solicitation “broadly,” such as through a website accessible to the general public, or through the use of social media or email, but less is needed if the investors are pre-screened by a reliable third-party. Rule 506(c) provides a non-exclusive list of methods to verify accredited investor status for natural persons that will be deemed to satisfy the verification requirement. (No list is provided for accredited investors that are corporate entities.) For verifying status on the basis of income, an issuer may need to obtain tax returns, along with a written representation from the investor that he or she has a reasonable expectation of maintaining accredited status during the current year. For verifying status on the basis of net worth, an issuer may need to obtain bank statements, brokerage statements and other statements of securities holdings, CDs, tax assessments, and appraisal reports, and for liabilities, a credit report from at least one consumer reporting agency, along with obtaining a written representation from the investor. If compensation information is publicly available, such as in Form 10-K reports, issuers may be able to rely on that information or on the certification issued by the investor’s accountant or attorney that the investor is accredited. On September 23, 2013, Regulation D Rule 506(d) also becomes effective. Rule 506(d) is a “bad actor” disqualification that prohibits the ability of an issuer to utilize Regulation D if the issuer or other relevant persons have been the subject of specified disqualifying events involving securities fraud or certain other violations of law. The disqualified persons list includes the issuer, its predecessor and affiliates, its officers, directors, partners, managing members, persons with beneficial ownership of 20% or more of the issuers voting securities, placement agents, and investment managers of pooled investment funds. The disqualifying events are expansive and include criminal securities convictions, securities-related injunctions; cease-and-desist, suspension, and bar orders from federal or state agencies barring persons from engaging in securities, insurance, banking or similar activities. With the exception of bar orders which have no limitation period, all of the other disqualifying events have a five or ten year limitations period. Only conduct that occurs after September 23, 2013 is disqualifying, but issuers that would have been disqualified under Rule 506(d) had it been in effect previously must disclose to investors that they would have been disqualified but for the September 23, 2013 effective date of the rule. 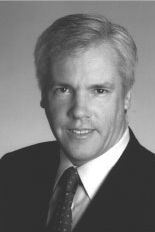 Securities lawyer Russell C. Weigel, III, P.A. practices corporation and securities litigation and law nationwide and specializes in taking companies public, helping public companies prepare SEC filings and stay compliant with federal and state securities laws, preparing transaction and disclosure documents for Rule 506 offerings, and defending issuers and other securities industry participants from SEC and FINRA enforcement actions and from customer arbitrations. Russell C. Weigel, III, was a branch chief and special counsel at the U.S. Securities and Exchange Commission and served during the years 1990-2001. The information you obtain at this site is not, nor is it intended to be, legal advice. You should consult an attorney for individual advice regarding your own situation. *CV, BV, and AV are registered certification marks of Reed Elsevier Properties, Inc. in accordance with Martindale-Hubbell certification procedure’s standards and policies. Martindale-Hubbell is the facilitator of a peer review process that rates lawyers. Ratings reflect the confidential opinions of members of the Bar and the Judiciary. Martindale-Hubbell ratings fall into two categories – legal ability and general ethical standards. Corporate and Securities Attorneys. ©2001-2018, Russell C. Weigel, III, P.A. d/b/a InvestmentAttorneys. All Rights Reserved.